Porter Stone, in a photo provided by the St. Louis Metropolitan Police Department. A third person faces charges for allegedly kidnapping a 5-year-old boy from the St. Louis hospital where he is on a heart transplant list. St. Louis prosecutors late Wednesday charged Heather Minton with kidnapping, interfering with custody and endangering the welfare of a child. She is the sister if Jeffrey Stone, the father of the child. Stone and their mother, Rhonda Marie Matthews, face the same charges. All three are jailed on $1 million bond and do not have listed attorneys. Authorities say the trio took Porter Stone from St. Louis Children's Hospital Tuesday, soon after he was discharged following evaluation for a transplant. Police found them early Wednesday in a motel room near Chicago. Doctors worried because Porter requires medicine and had only enough for a day or two. 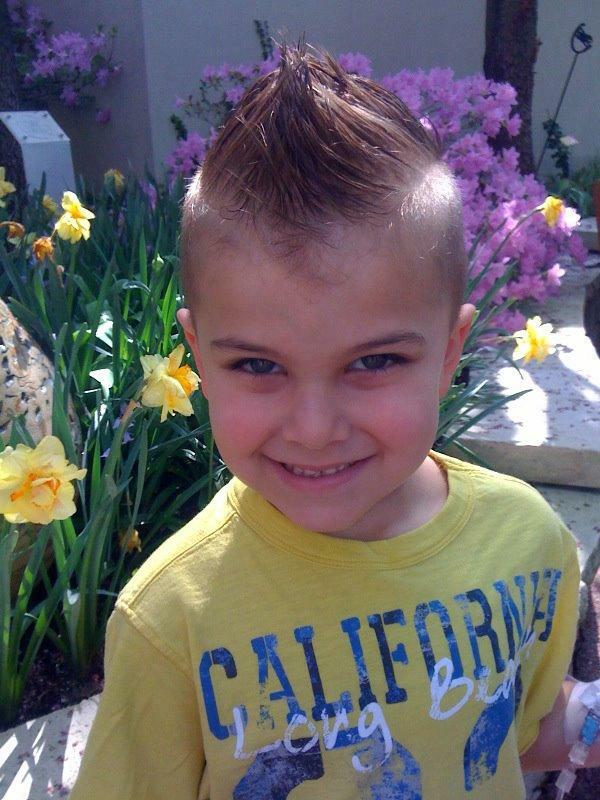 A 5-year-old Kansas City boy taken yesterday from St. Louis Children's Hospital has been located near Chicago. Illinois state troopers located Porter Stone, his father Jeffrey Stone, and his paternal grandmother Rhonda Marie Matthews in Alsip, Ill. Both adults are in custody on felony charges of kidnapping, interfering with custody, and endangering the welfare of a child.